There are many reasons we become health care providers. Sometimes it is a passion for helping a certain population, a desire to help people achieve specific goals, or the recognition that people are needed to fill gaps in health care delivery. Whatever the reason, there are physical and emotional risks that come with “helping” work. If you are a helping or social professional who uses compassion and empathy with your clients who have experienced trauma and suffering, you may already be familiar with compassion fatigue. Nurses, physicians, trauma therapists, social workers, workers in child protective services, and military healthcare teams are recognized to be at risk of exposure to second hand trauma through their work and may benefit from understanding and recognizing compassion fatigue. Other health care providers, such as occupational therapists, advanced practice registered nurses (APRNs), respiratory therapists and physical therapists may also suffer the consequences of compassion fatigue in their work with people and their families that are experiencing a health crisis. 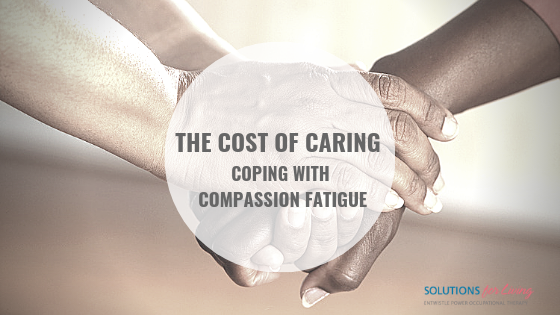 Compassion fatigue is often described as the “cost of caring”. It can also be called “secondary traumatic stress”, which is a more clinical term, but it is generally agreed that these terms are interchangeable. Compassion fatigue occurs when providers are exposed to another person’s trauma and suffering. This could be through routine interactions at our workplaces, when we provide compassion and empathy to clients or patients who have experienced trauma. Compassion fatigue impacts individuals physically, emotionally and spiritually, and tends to have a rapid onset of symptoms. The symptoms listed below are not exhaustive and not exclusive to compassion fatigue, so they should not be used to diagnose. If you are concerned, consider making an appointment with your physician or other mental health worker to discuss your concerns. Physical: chronic fatigue, frequent headaches, gastrointestinal complaints, sleep disturbances, muscle tension, aches and pains, and anxiety. Emotional and Spiritual: heavy heart, emptiness, decreased sense of purpose, low self-esteem, high self-expectations, helplessness and hopelessness, numbness, apathy, depression, anger, irritability. Behaviour Changes: avoiding or dreading work, calling in sick frequently, inability to maintain empathy, chronic lateness, overworking, and difficulty focusing and concentrating. Burnout has a more gradual onset and results from an accumulation of ongoing, daily stressors at work that wear us down if we do not take proper care of ourselves and try to address the contributing workplace issues. Symptoms of burnout tend to be more subtle and are sometimes misinterpreted. It is still very important that we try to both address and prevent burnout, but this is clinically different from compassion fatigue. Although we cannot entirely prevent compassion fatigue from happening, we can take steps to reduce the risk, recognize warning signs and seek support early in order to reduce the impact on ourselves, our coworkers, our clients and our friends and families. 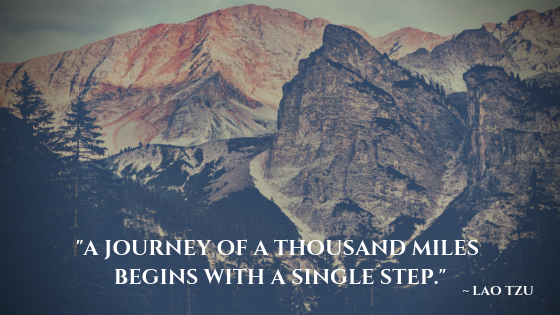 By reading this blog, you have already taken a step toward learning more about it. If we can normalize these emotions after exposure to these types of situations, it might help us to seek and accept support when we need it. If your workplace permits, it can be helpful to have regular debriefings, even if a specific incident or crisis has not occurred. Self-care strategies have been shown to help prevent compassion fatigue. These strategies will likely include enhancing your boundaries to separate your work life from your home life as much as possible. It also often involves balancing your activities outside of work as well, including engaging in a variety of relaxing, pleasurable and productive activities throughout the week. Importantly, getting enough sleep at night and eating healthy and regular meals are also parts of self-care. Avoiding maladaptive coping mechanisms (such as turning to alcohol, increasing smoking, eating or spending) is also important, including recognizing when things are deteriorating to get help quickly. Practicing self-compassion can also help us to build resilience against compassion fatigue. You can find meditations to help cultivate self-compassion, or it might be something you explore through reading, watching TedTalks, attending a course or workshop, or talking to your therapist about. Having a regular mindfulness or meditation practice may also help you build resilience, along with other positive and adaptive outlets like exercise and social time. If you are interested in learning more about compassion fatigue, check out the references below. If you want to “check in” with yourself, you may be interested in looking at the Professional Quality of Life Scale (ProQOL) available here. This scale will allow you to calculate scores on scales that consider compassion satisfaction, burnout and secondary traumatic stress (compassion fatigue). I am not suggesting using this scale for self-diagnosis but it can sometimes be helpful to indicate if there is a concern you might want to speak to a professional about. The symptoms of compassion fatigue can be severe – if you are concerned for your safety, please call your local crisis/distress line for support. Find a crisis line near you.